Before you can integrate PayPal you will need an account with PayPal, if you don't yet have one then signup here. Next login to Transporters and go to Settings->Financial->Online Payment Methods. If the PayPal row says "Install" click that, otherwise click the edit icon. You need a Username, Password and Signature from your PayPal account to setup the integration - these are NOT your normal login details! 1) Log in to your PayPal Premier or Business account. 4) Choose "Option A (Work with a partner that's already integrated with PayPal)", then click either "Setup API access" or "Get your API credentials", depending which is showing. 5) Scroll down to "NVP/SOAP API integration (Classic)" and click "Manage API Credentials"
Next step depends on whether you have previously created any API credentials. 6) If you see the screen below, then choose "Request an API signature" and then Agree and Submit. 7) Once you have credentials you will arrive at the screen below. 8) Click show on the api username, api password and signature and copy these 3 items into their corresponding boxes in your Transporters System. Allows you to charge your customers a surcharge (or even discount!) for PayPal transactions which can be used to offset the fee's that PayPal charges. Test mode allows you to make test transactions to ensure everything is working without needing a real credit card. Your main account details will NOT work in test mode, you must register at https://www.sandbox.paypal.com and obtain a set of test credentials following the steps above to use test mode. 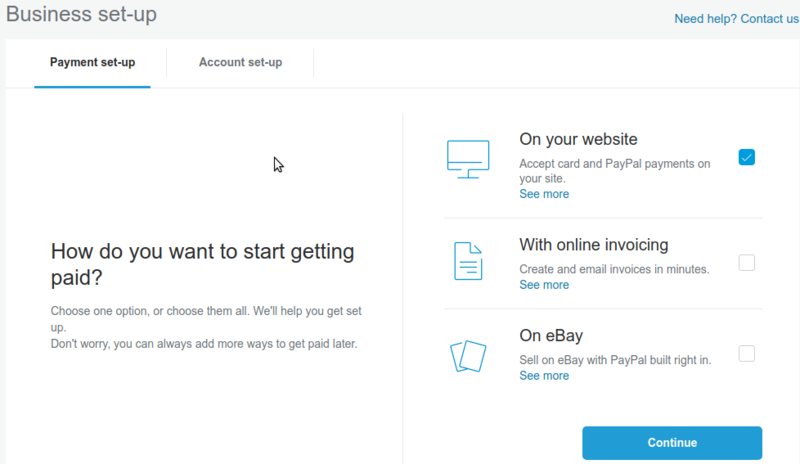 Optionally require all customers to have a PayPal account to make a payment. Most users prefer the more flexible first option that allows any credit or debit card to pay without a PayPal account. Non PayPal account will default to asking visitors to enter their credit card details. PayPal account login will default with a login to their PayPal Account. Customise the display of the payment page. If entering custom image URLs make sure they are hosted securely with a link that starts with "https://"
Using paypal account login username and password. You MUST request and use your dedicated API username, password and signature as detailed above. Using test mode with live credentials. Paypal requires you to obtain a different set of credentials from https://sandbox.paypal.com in order to use their test mode. Remember to swap with live credentials when turning test mode off.